How to to convert HTML template to WordPress theme? To convert static HTML website to WordPress manually without losing your content and design, you need to just create your own custom theme. 1.First, you need to create a folder and write a proper name. You can keep this folder anywhere where you would like to keep and access easily. 2.If you don’t want to change your design, copy your old CSS and add into new style.css file. Second step is to pick the complete aside class=”sidebar” tag from your index.html file. Copy and paste everything into previously created sidebar.php file. Save and close the file. And last, select all remaining things from your index.html file, copy and paste them into your index.php file. Remember just save it and keep it open. Close your index.html file and move to the next step. 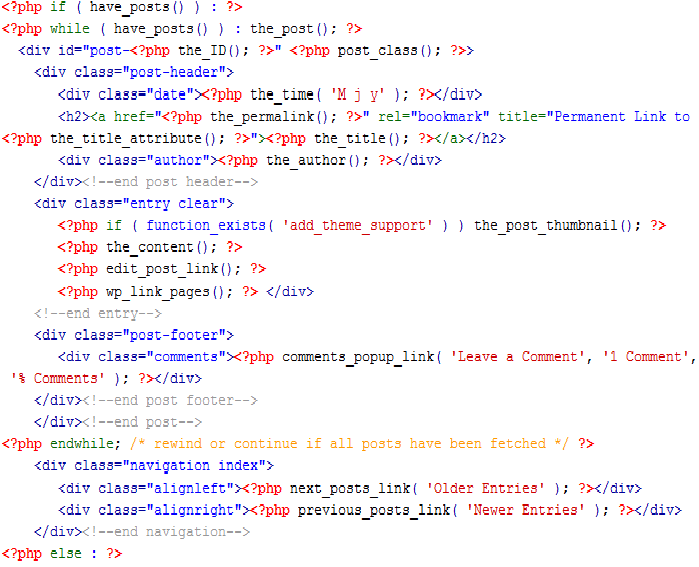 4.In this step, from newly created theme’s index.php file, call all the section, which we have added in other files. Save and close your index.php file. 5.Now open your installed WordPress directory and add your theme folder into /wp-content/themes/. Your new themes will appear in WP Admin > Appearance > Themes. Just activate it. At the end, release your new WordPress site with your old site’s content. Now you have a new WordPress theme site with your old content. Where to get Images free from copyright for your Blog? What is Bitcoin Blockchain Technology? What is Meaning of Production Function in Economics? How is Google applying Machine Learning in Everyday Life?